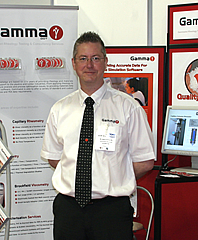 Gammadot Rheology was formed by Mark Edwards who, prior to March 2006, spent 18 years in a number of roles at Rapra Technology Ltd, (now Smithers Rapra), one of Europe's leading testing & consultancy providers to the plastics and rubber industry. For the majority of his service Mark was primarily responsible for all rheology testing & consultancy, and the provision of materials characterisation data for proprietary Flow simulation software such as Rapra's own Fillcalc V, Moldflow and Sigmasoft 3D, and Gammadot continued to provide these services to Smithers Rapra until early 2008. 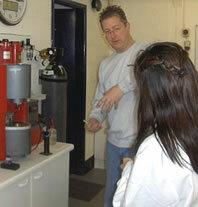 Mark also has experience in rubber technology, plastics processing, failure analysis and plastics technology. A member of the British Society of Rheology since 1995, he is also the membership secretary & webmaster of the Telford Polymer Association. Gammadot Rheology aims to provide a variety of testing & consultancy services tailored to your needs. From applying rheology to quality control, failure analysis and process optimisation issues, to providing accurate materials property data such as specific heat capacity, thermal diffusivity, thermal conductivity and specific volume as a function of pressure & temperature (PvT), we will provide you with accurate solutions to your material requirements in a confidential and timely manner. 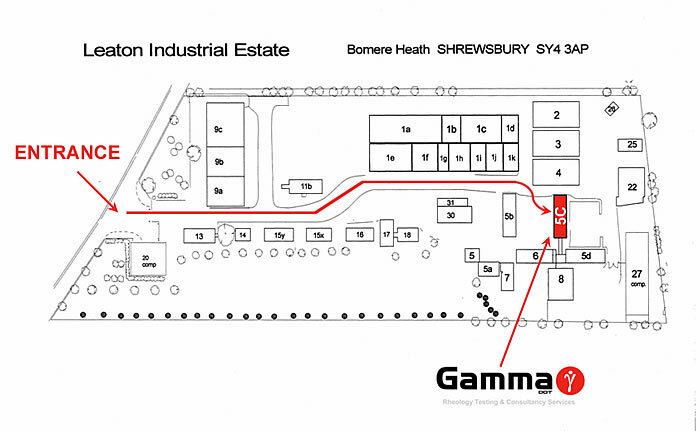 Gammadot Rheology's premises are located on Leaton industrial estate, a quiet, rural setting on the outskirts of the pictureseque town of Shrewsbury, Shropshire (UK). Leaving the M54, continue along the A5 for approximately 8.5 miles. At first roundabout take the second exit onto the A49 (signposted Whitchurch). At Sundorne Roundabout take the 2nd exit onto the A49 (signposted Whitchurch). At Battlefield Roundabout take the 2nd exit onto the A5112. At Enterprise roundabout take the 2nd exit onto the A5124 (signposted All Through Routes). At Ellesmere Road Roundabout take the 3rd exit onto Huffley Lane (signposted Baschurch). Bear right, continuing on Shrewsbury road. Turn left and proceed over the unmanned rail crossing. Turn second left into Leaton Industrial estate. Gammadot Rheology is situated at the far end of the estate on the right.